We are excited to introduce a new product: Open Faced Covered Walkway. First for the industry this covered walkway allows open access below the engineered, safety standard certified and aesthetically pleasing covered walkway. When obstructions are within the covered walkway footprint it is no longer necessary to relocate of avoid these obstructions. Robust rear posts maintaining our superior strength and safety record and meets or accedes local safety standards. 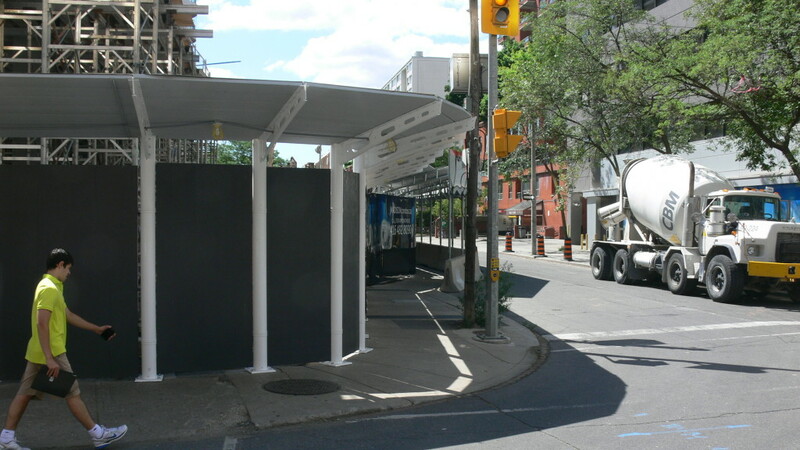 As always, our covered walkways are designed and manufactured in-house in Brampton Ontario. Contact our office regarding how this open faced covered walkway can provide solutions to your overhead protection needs.